The other day I saw a photo of Bisquick chicken pot pit and of course that made me want to make one. I’d never made it before. Thankfully the recipe isn’t too complicated and I had all the ingredients on hand. It turned out really pretty and mighty tasty. I baked my chicken pot pie in a deep baking dish (about 8-inch x 2-inch deep). I didn’t think any of the pie plates or pans I have would have worked very well. Even though I used skinless boneless chicken breasts, I still strained the broth 3 times through 8 layers of cheesecloth. I let the broth cool and pour one cup portions into square plastic containers then freeze them. I take the frozen broth ice cube out of the plastic container and put them in vacuum pack bags, date them and put them in the freezer for future use. I love the way these look. We use alot of broth in recipes and since salt is a problem in the processed foods, salt-free homemade broth is a welcomed staple to have on hand. The sun is shining and the temps are warming up. It’s 57°, if the wind would stay calm, it would be a lovely day to go for a walk and look for signs of green. I’m so happy to finally dare-to-hope that maybe Spring-like weather might be here soon. This entry was posted in Kitchen-Cooking & Misc and tagged bisquick, Bisquick Chicken Pot Pie, broth, chicken, chicken pot pie, chicken salad, cooking, food, homemade broth, recipes, The recipe. Bookmark the permalink. Welcome to my blog, And welcome to the blogging world. I hope you’ll be blogging for many years to come. 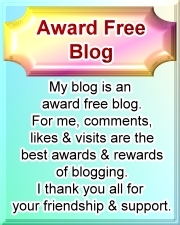 Thanks for visiting my blog and leaving me a comment. Your weather today sounds exactly like ours! I’m happy to see my jonquils peeping through; can’t wait for them to bloom. This chicken pot pie looks delish – I just may have to try it! Thanks for sharing. It’s now 64° and the sun is still shining. Hopefully the sun will stay out and we’ll get a chance to go outside this afternoon. If you like chicken pot pie, this is an easy recipe. I definitely plan on making it again sometime. I hope your weather keeps warming up. I hope you’ll share some photos of the jonquils. Looks like a great dish, thanks for the recipe. I keep my stock from cooking chicken too but I never thought to put it into ziploc bags which would be great for storage in the fridge. I use plastic containers, but will change to the ziploc bags from now! I’m glad you like my idea. I remembered it from way back when I used to freeze broth-cubes for our other dog we had. I haven’t froze any for Sheli yet. He doesn’t stay outside long enough to get a treat because he doesn’t like the outdoors much at all, it’s too big and scary. haha, he’s a little scaredy cat!